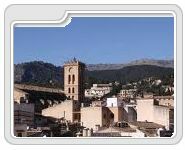 Pollensa (Puerto Pollensa) offers cultural activities for the holidaymakers. 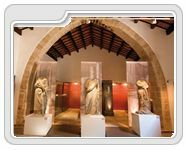 Museums and art galleries in Pollensa is another great attraction for the holidaymakers in Pollensa(Puerto Pollensa). There are two museums which may interest you. Items exhibited at the Pollensa Monographic Museum include; artefacts proceeding from the excavations in Pollensa, an important collection of ceramics, glass, jewellery, etc. Pollensa Municipal Museum is home to a large collection of paintings of the region. There are also numerous archaeological finds, a Buddhist mandala and Atilio Boveri collection exhibited.